What Are the Elements of Outdoor LED Screens in Response to Harsh Weather? The outdoor environment is the earliest and most common application area of Digital LED Video Wall, ranging from tens to hundreds of square meters. In order to expand the audience's vision and enhance the effect of outdoor advertising, it is usually installed in the open space of the top of the building. 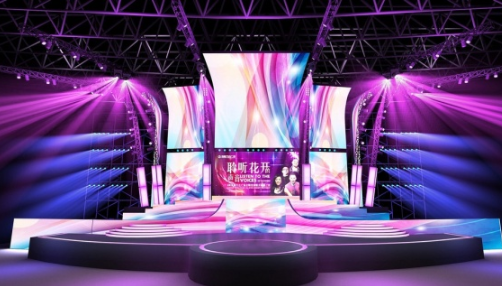 The so-called "big tree", the Outdoor Advertising Screen with large area and high position is dazzling, but at the same time it has to face the test of harsh environment such as wind, frost and lightning. Usually, the outdoor LED display from Outdoor LED Display Supplier area is large, and most of them are installed in places with dense personnel. Therefore, pay special attention to the display protection level, especially the southeast coastal area where the typhoon is frequently registered. The design should consider the solid foundation of the steel structure, wind load, waterproof, dustproof, moisture-proof and many other factors, the protection level should be IP65 and above, extend the service life of the display and enhance the reliability. To ensure lightning protection, the LED main body and the outer casing should have good grounding measures, and the grounding form should be considered separately according to whether the display is independent or attached to the outer wall of the building. At the same time, the integration of electronic components in outdoor LED displays is high, and the sensitivity requirements for anti-interference are also increasing. In order to minimize electromagnetic interference, lightning protection devices should usually be installed on displays and buildings. When the outdoor LED display works, it will generate a certain amount of heat. If the ambient temperature is too high and the heat dissipation is poor, the LED chip and related integrated circuits may not work properly or even be burnt, so that the LED display system cannot work normally, so usually the outdoor LED The sticker display should be equipped with a cooling fan or air conditioner, especially for screens that need to work in high temperature subtropical and tropical regions for a long time.